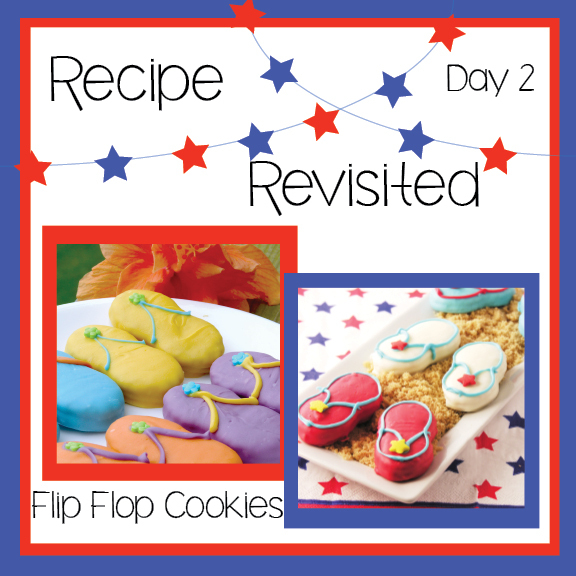 Flip Flop Cookies~ a Recipe Revisited! This recipe was originally published during my first summer of blogging, on June 11, 2011. It is particularly memorable for me because it was my first photo published on Foodgawker. 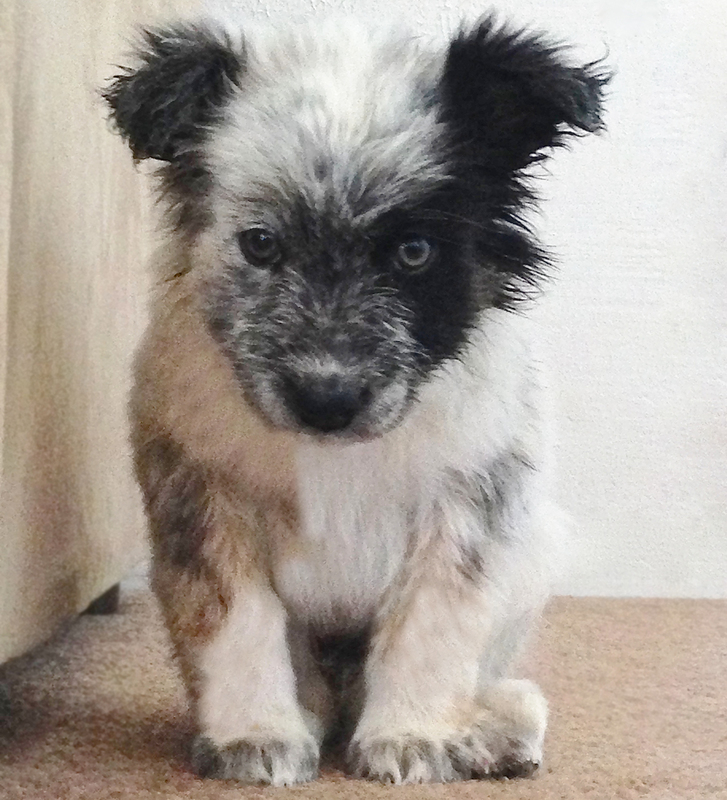 If you even knew how hard I was trying at the time to get a photo accepted on that site….oh my. I’m very competitive and I had about 60 photos rejected before this one. I was jumping up and down for joy! I took this photo at my friends Tom and Tina’s house at the lake. I knew the lighting was perfect that day and I pulled my little point and shoot out to snap some photos. Tom suggested I try his higher-end camera and Tina popped that pretty orange flower in the background and I learned two things: 1.Staging food is a must in photography and 2. I needed a better camera. Since that date I’ve had 55 photos accepted on Foodgawker and SO many rejected. It has been so good for me to have outside judgement on my photography though. It is making me better. Will today’s photo be accepted? I think not. I’m not happy with the exposure in any of the pictures, but we will see! 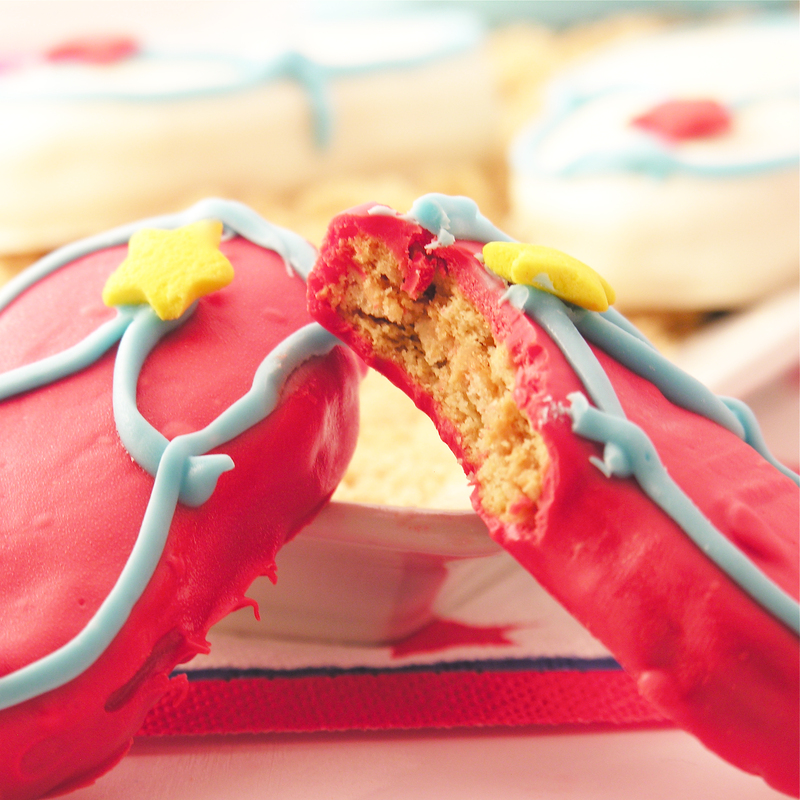 These are white chocolate dipped Nutter Butter cookies (in case you were wondering!) 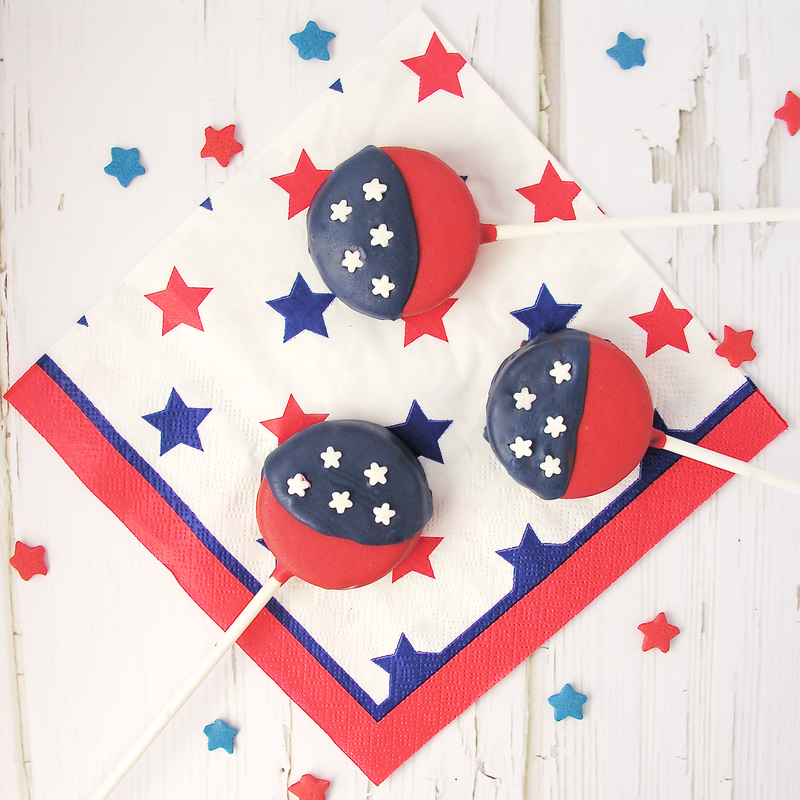 Originally dipped in rainbow colors, these are dipped in patriotic red, white and blue and garnished with a little star sprinkle. 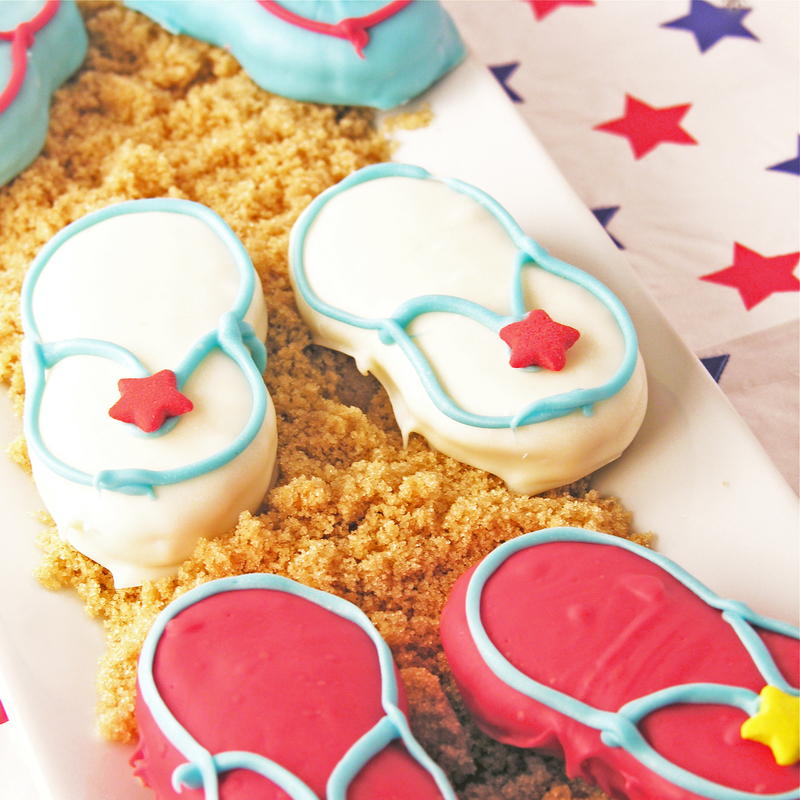 Serving them on brown sugar gives them a beach feel. 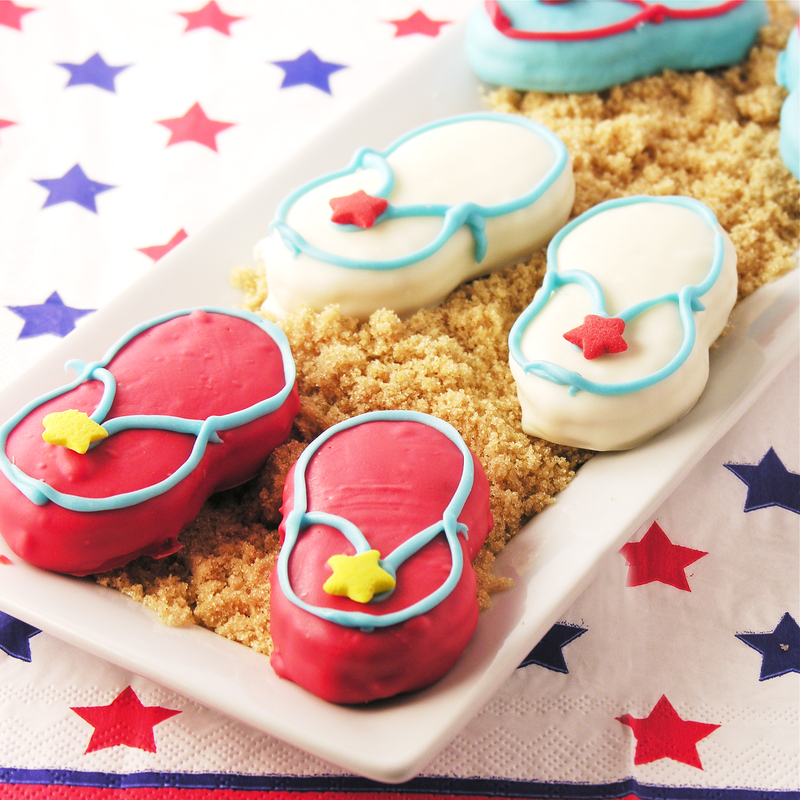 These are a perfect summer treat and really easy to make. To see the original recipe (along with photos showing how to dip them) click here. 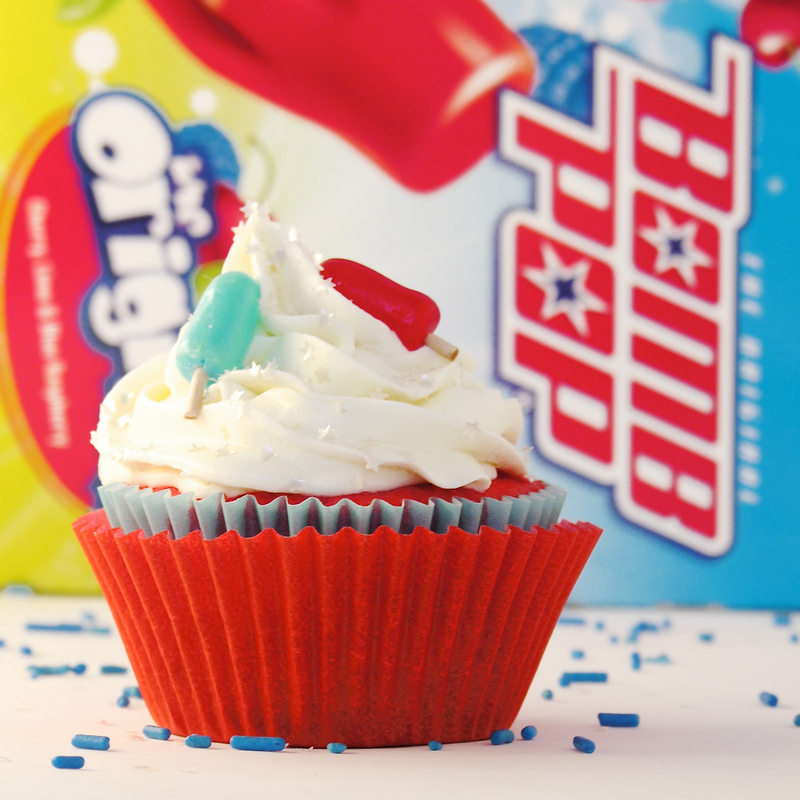 To print the original recipe and instructions click here. 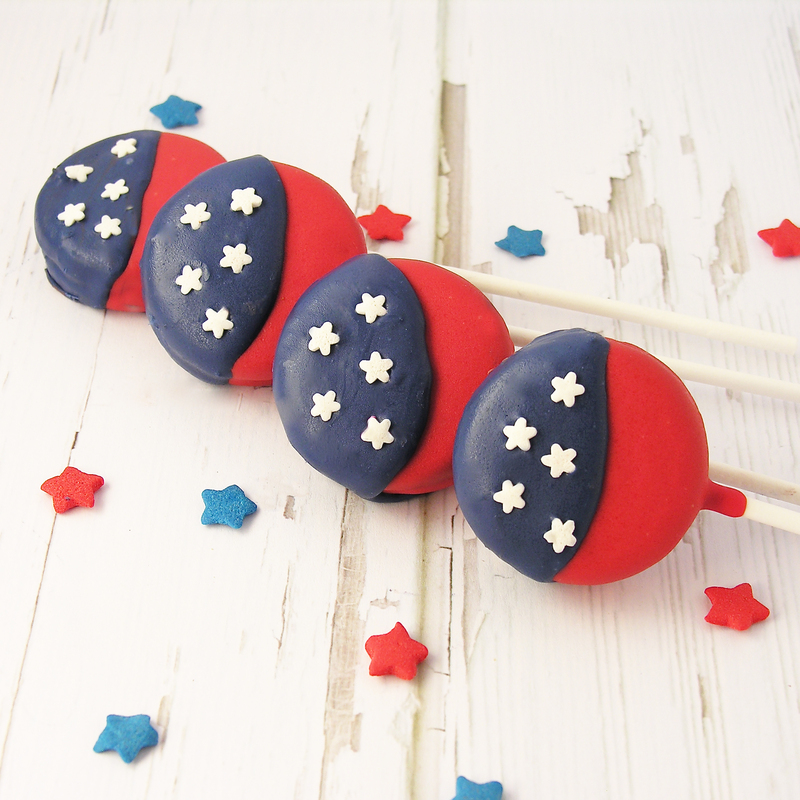 Posted in Candy, Cookies and tagged baking, cookies, desserts, flip flop cookies, fourth of July, fun, Labor day, Memorial day, nutter butter cookies, Nutter Butters, rainbow colors, recipe, summer cookies, Wilton candy melts. Bookmark the permalink. 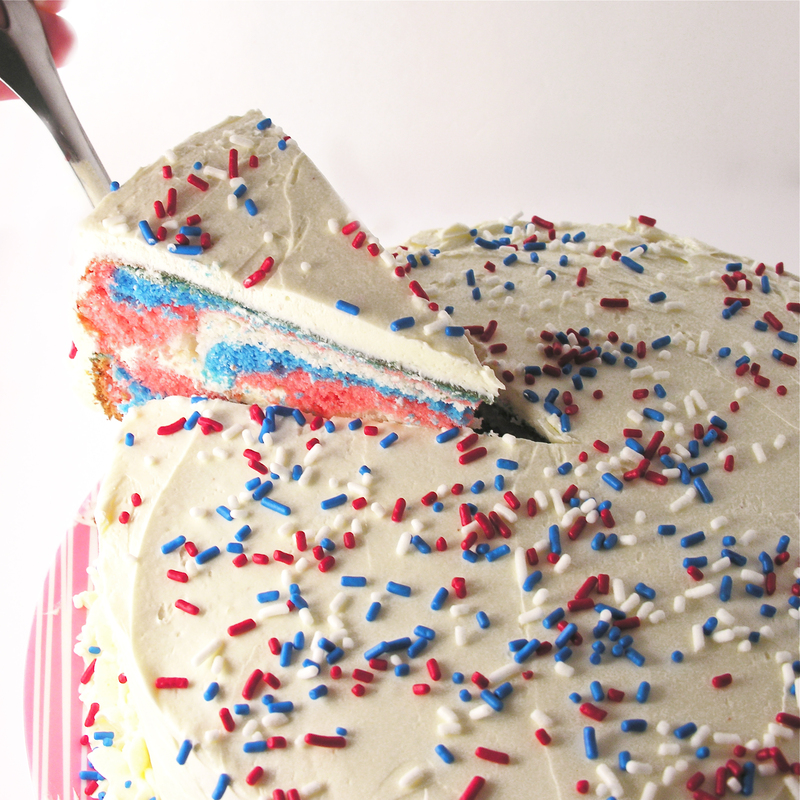 Tie Dye Cake~ a recipe revisited! I miss my recipes sometimes…I didn’t realize when I started this blog that it would launch me into a world of constantly new and changing recipes. If I’m asked to bring a dessert to something I rarely return to my favorites. Instead I create something new that I can share with all of you! 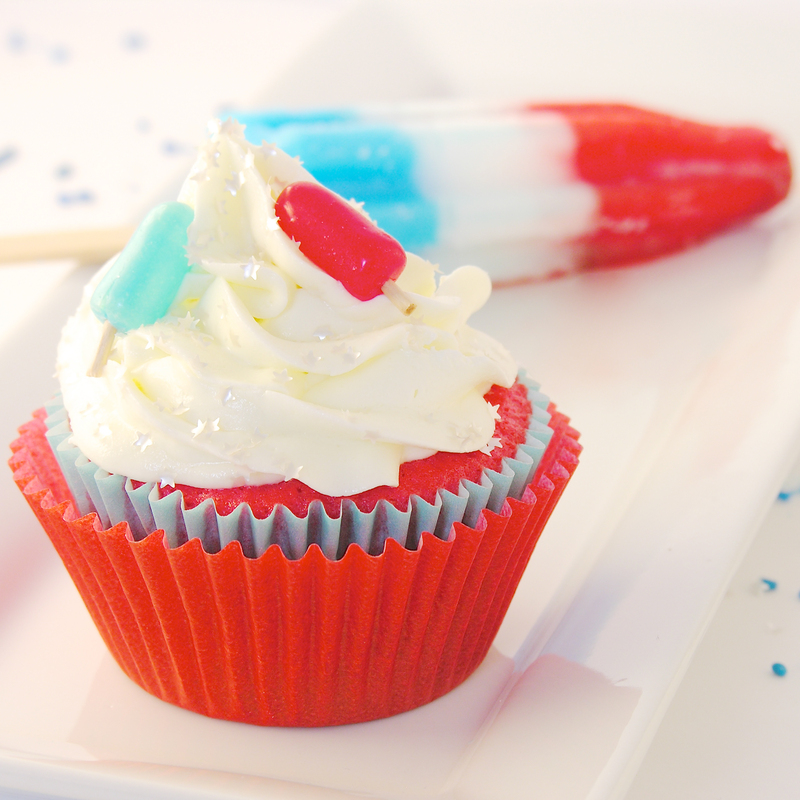 This week I am revisiting some of my favorites in honor of the Fourth of July. 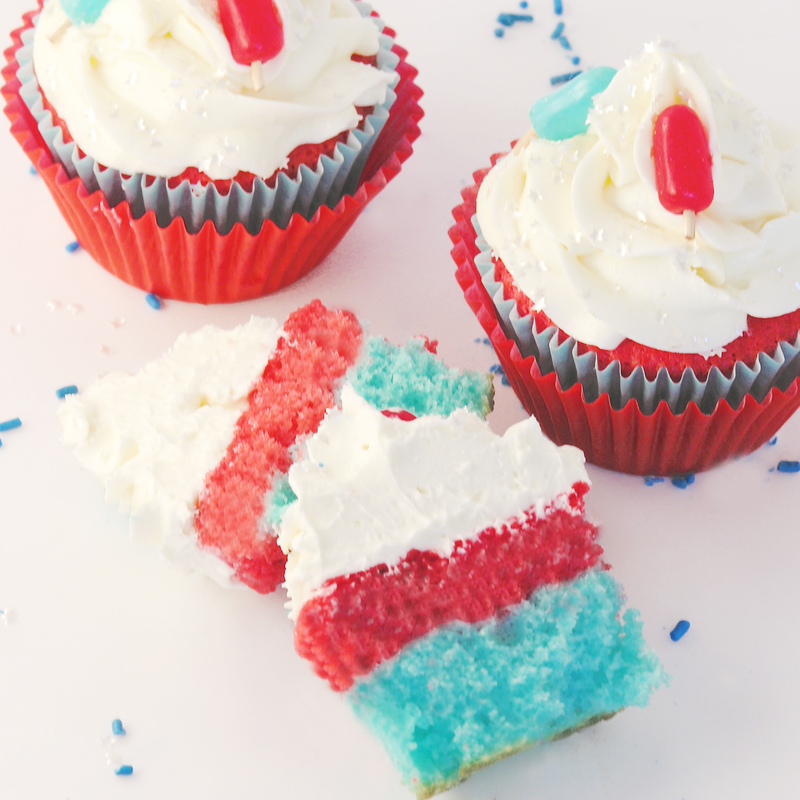 I chose some of my most colorful and fun recipes to recreate in Red White and Blue. 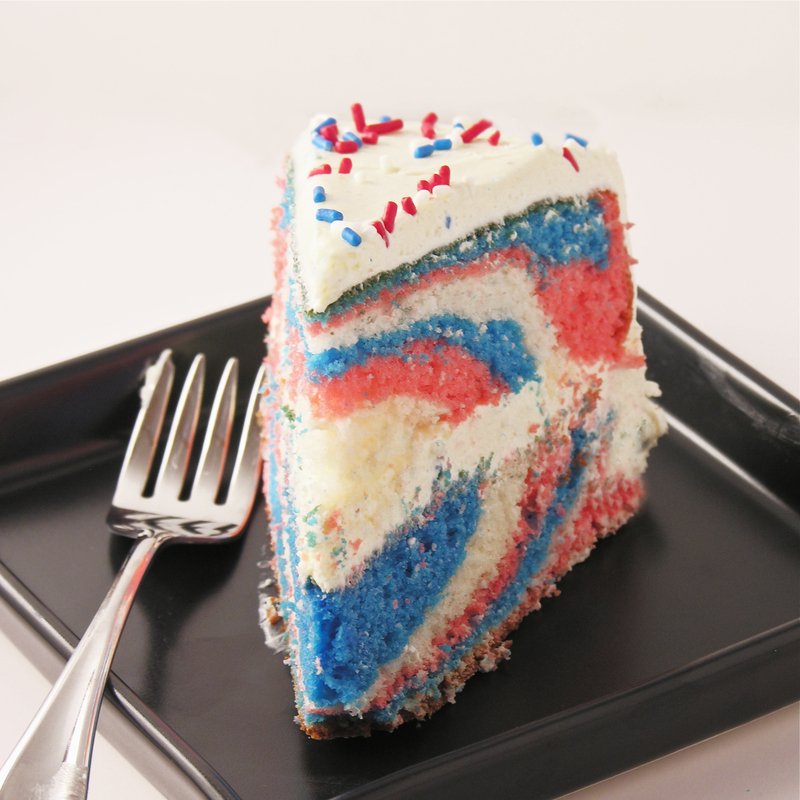 Each of these recipes can be tweaked to fit any color theme, but this week we are celebrating the USA with each recipe. Here we go…..! 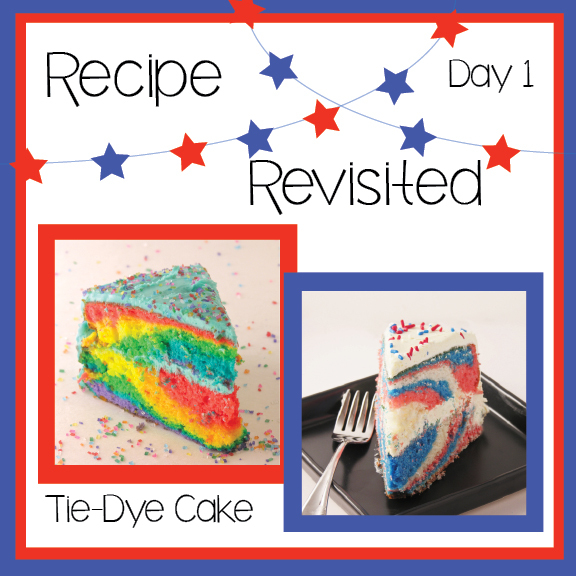 The original Tie Dye cake recipe was created October 10, 2012 in honor of my nephew Marshal. 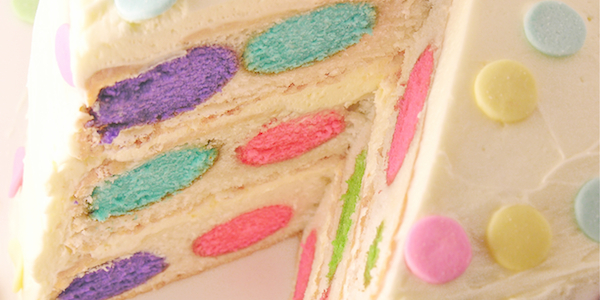 It has gotten rave reviews for how easy it is to make. 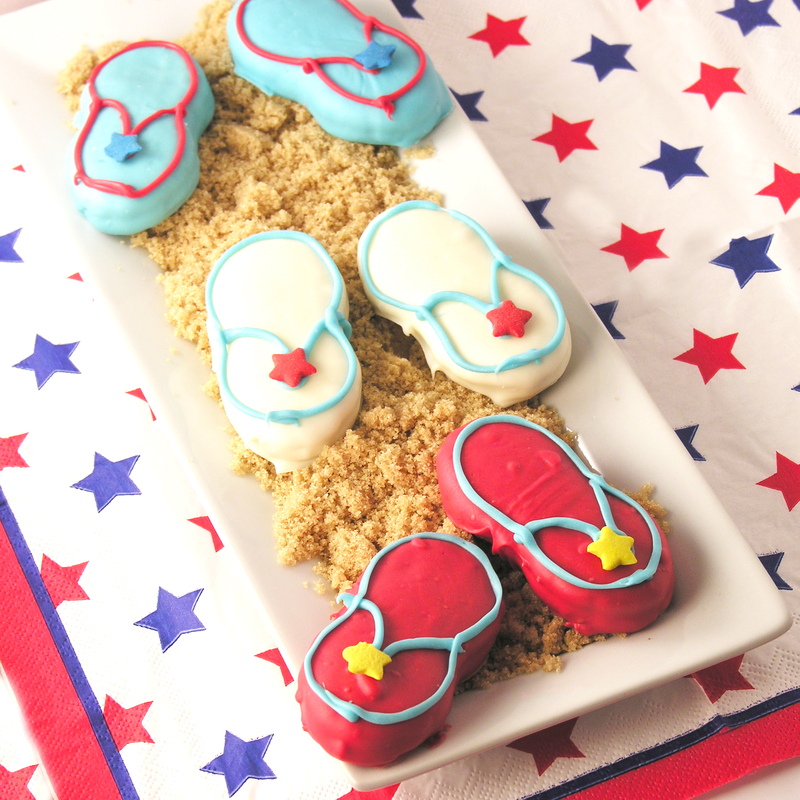 It’s been the star dessert at birthday parties, Easter celebrations and even a Luau! It was featured in the Huffington Post in an article celebrating all things tie dye. Visit the original recipe to see how it was put together by clicking here. Print the original recipe and try it for yourself by clicking here. 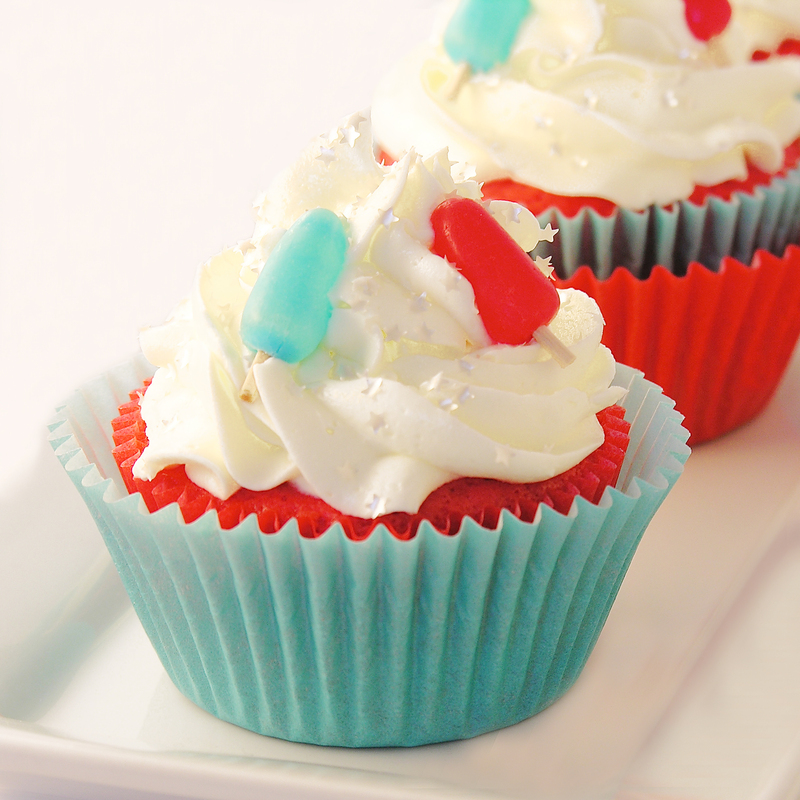 Stay tuned…I will be back tomorrow with another revisited recipe! Instead of rainbow colors, I used red and blue. USE COLOR GELS if you want bright and vibrant color. Liquid colors will not give you the deep colors you want. I actually ran out of red and ended up a little more pink than I wanted! I love my color gels– I use them a lot! 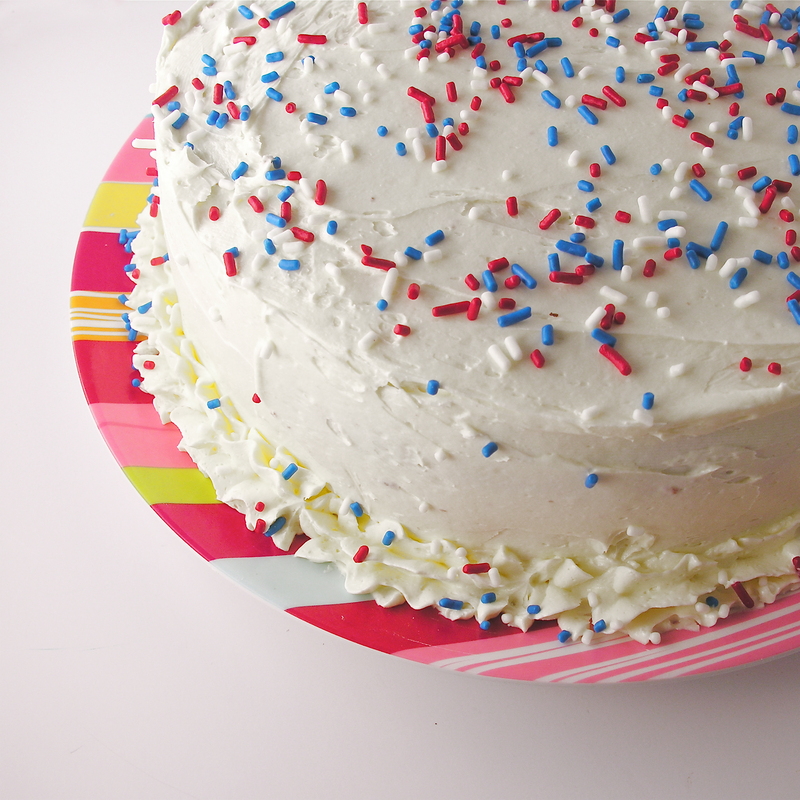 I used the buttercream from the original recipe but added vanilla instead of the raspberry flavoring, and I left it white with a few sprinkles. 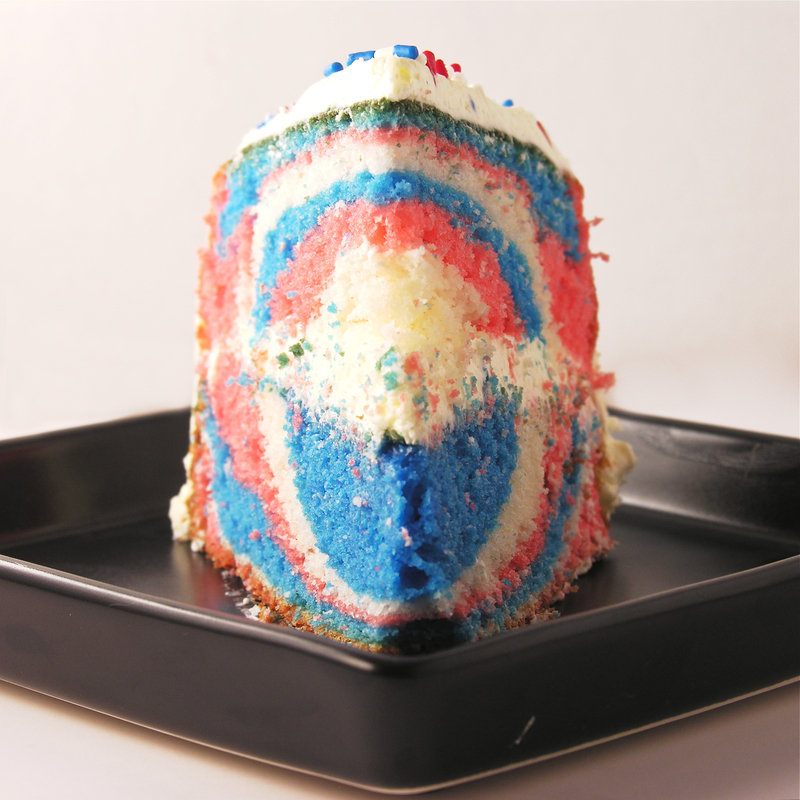 Posted in Cakes and tagged baking, buttercream frosting, cake, dessert, food color gels, fourth of July, fun cake recipes, Labor day, Memorial day, patriotic cake, red white and blue cake, tie-dye cake, white cake. Bookmark the permalink.